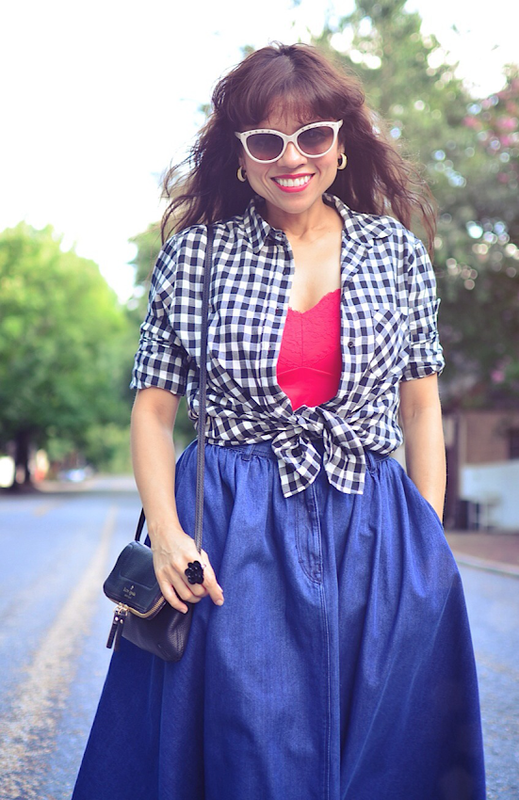 The gingham shirt finally arrived (see post here) and I couldn't help but to wear it right away. 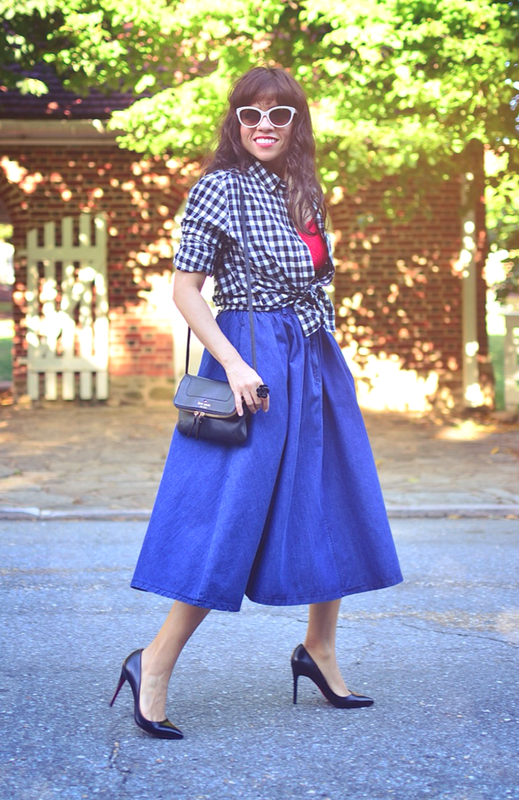 I decided to style it with one of my favorite denim skirts and classic pumps. I plan to wear this shirt more than once this week and many times throughout the year. It looks well made, so I believe this baby will last long time. La camisa de algodón a cuadros llegó por fin (ver entrada aquí) y no pude dejar de usarla inmediatamente. Decidí acompañarla con uno de mis faldas de mezclilla favorita y con tacones clásicos. La verdad es que tengo la intención de ponérmela más de una vez esta semana y muchas veces más a lo largo del año. Se ve bien hecha, así que creo que me va a durar mucho tiempo. Shirt/Camisa: Mango. Very similar here. Red slip/Camisola roja: Vintage. Similar here. Bag/Bolso: Kate Spade. A newer version here. 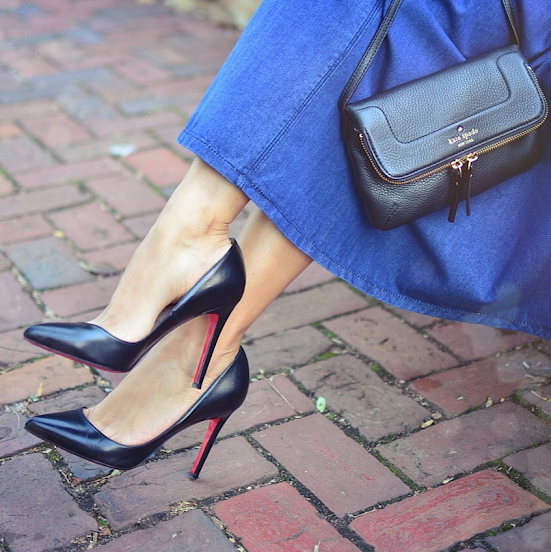 Pumps/Tacones: Christian Louboutin. Buy here. I LOVE this outfit. The skirt is prefect, exactly the type of skirt I really love and as for Louboutins, I'm thinking about getting a pair exactly like that...matt black leather and classic cut. I think your post may have just convinced me to go ahead with it. Thanks Kristina! 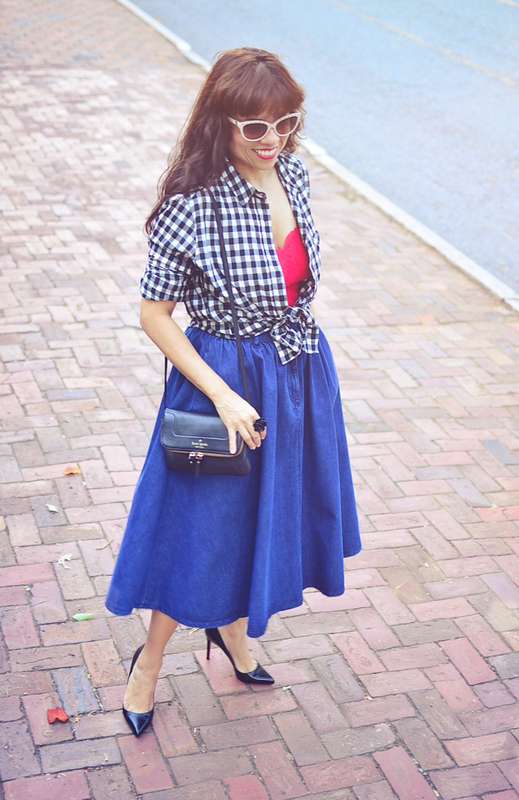 I can see you wearing this skirt with one of your gorgeous Loubous. These Pigalles are the bomb and surprisingly comfortable. You should get them…they are classy, classic and versatile. Gorgeous look, I love the skirt and your Loubous are fab! Can you tell... honestly, are they really comfy? Thanks Rathana!! and yes, I am very happy with the comfort level of these shoes considering the tall heel. However, you don't want to be on your feet wearing these babies for several hours, because regardless of the comfort, any high heel shoe is going to hurt your feet and ankles after too many hours standing up. 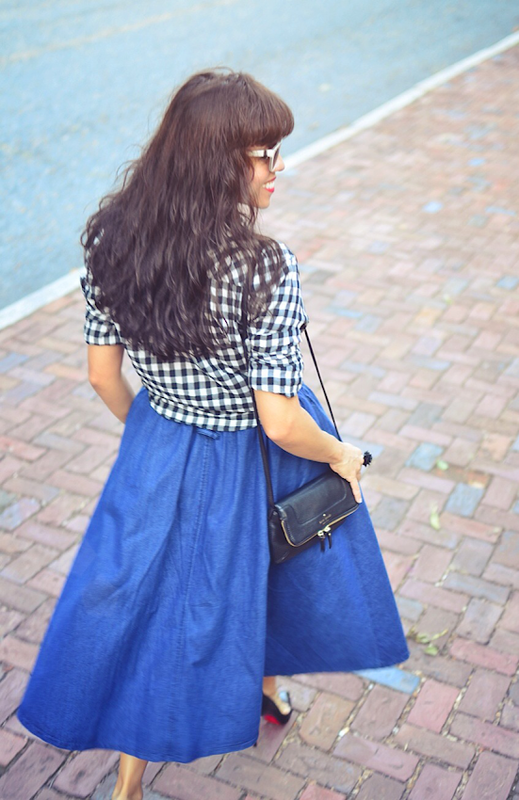 It's a great skirt! I'm glad you like it.